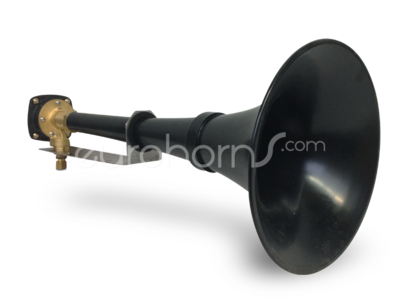 High quality ship horn MKT-75/260 made by Kockum Sonics. Pervasive sound with 260Hz low tone. Suitable for small vessels from 20m up to 75m length. It's the low tone maritime air horn of Kockum's MKT-75 serie. Suitable for small vessels from 20m up to a total length 75m. the weather. Furthermore, they meet the IMO regulations. please find the pdf-brochure in "Attachments"
For this air horn you will need a separate compressor for air supply.